Buy the book – Let's Go Biking! Buy the book – Let's Go Biking! Books shipped via Canada Post, ebooks sent by email. You will be redirected to PayPal to make your purchase. *USA and International book orders, please choose Paperback+eBook to offset the cost of shipping. 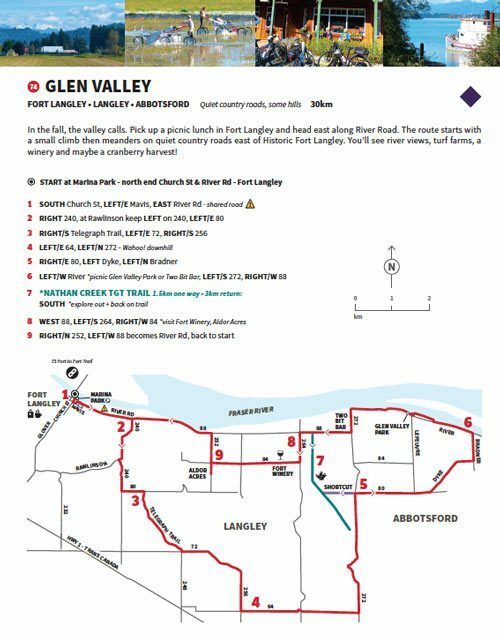 Scroll down for bookstores, bike shops and coffee shops that sell Let’s Go Biking. With its mild climate and stunning scenery, there’s no better way to see Vancouver’s awe-inspiring mountains and shores, farms, and vibrant city neighbourhoods. 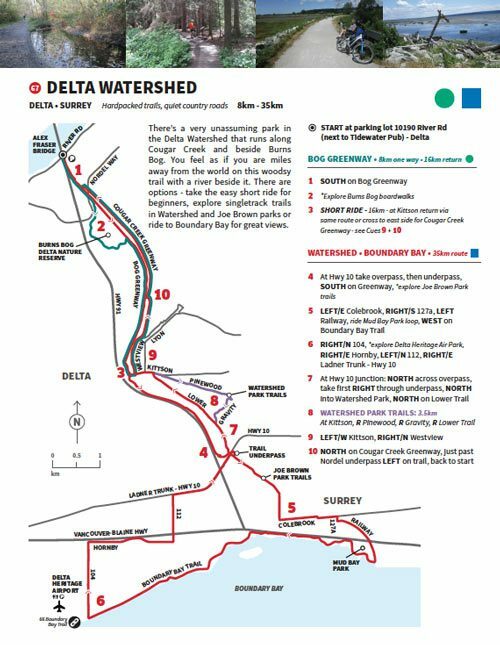 Enjoy the new Arbutus Greenway, visit a historic fishing village in Steveston, or meander the Pitt Meadows dykes by the cranberry fields. 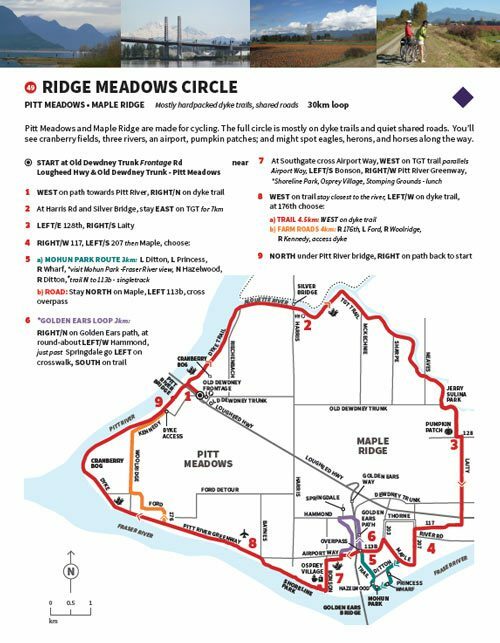 With distances ranging from 5km to 50km, these easy day trips are fun for families, beginning cyclists, seniors, explorers, and those who like to stop and smell the roses. Colleen MacDonald is the author of the popular biking blog, Let’s Go Biking. She has written books about local history, as well as children’s stories. Colleen has cycled all over the world and still thinks Vancouver is one of the best places to cycle. She spends her time in Belcarra and Whistler, BC. Support Let’s Go Biking with a donation! 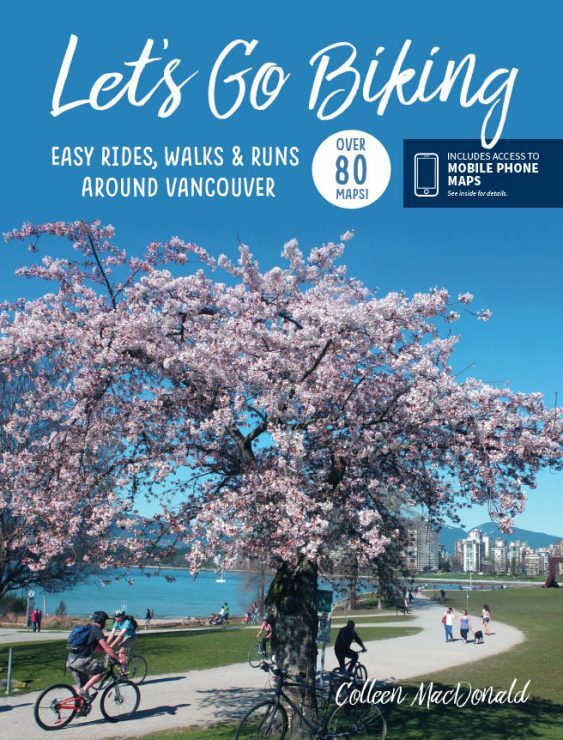 Cycle City Tours – 648 Hornby, 1344 Burrard – Great for Bike Tours, too! Pedego Electric Bikes, 2774 West 4th, Vancouver – MapCases in stock! Sidesaddle Bike Shop, 2496 Victoria Dr, Vancouver – MapCases in stock! Waves Coffee – so many locations in Vancouver! Ohm Cycles, 103-930 Harbourside, North Vancouver – MapCases in stock! Waves Coffee – enjoy a coffee & pick up a Let’s Go Biking book! Let me know if your favourite retailer is out of stock and we’ll get some there FAST! You’ll find 84 maps like the ones below. Easy to read directions and maps. Designed to take along for the ride.